Congestion is a serious challenge negatively affecting the movement of people, goods and services. It has a negative impact on productivity, quality of life, increases road safety risks and contributes to the already negative carbon footprint of the transport sector. To share knowledge towards a more integrated approach by diverse stakeholders, ITSSA hosted a workshop on “Taking Steps to Mitigate Congestion.” It was hosted at FNB and sponsored by the Western Cape Provincial Government. A Working Group has been established to formulate follow-up actions and will be reported on as progress is made. • Click here to access the presentations. Improving public transport is an absolute priority and payment systems are central to this. While the respective transport authorities and system operators are engaged in bedding down the EMV payment system and working towards interoperability, on the other hand we need to prepare for the NextGen of future payment systems. The provisional date is 16 October 2019. • If you are interested to present on this topic, please send an expression of interest with a short abstract –click here. • If you are interest in hosting or sponsoring this event, please click here. If you are interested in the future of mobility, then the ITS European Congress is an unmissable opportunity to join important discussions, share your knowledge and learn about the latest technologies and policy developments in Europe. Themed "Smart Mobility, Empowering Cities", the 26thIntelligent Transport Systems (ITS) World Congress in Singapore promises an unparalleled technical programme and demonstration showcase as well as technical tours that encompass an extensive range of transport modes. "Winning this competition is an affirmation that I didn't make a mistake – it is a nice pat on the back," says Thabani Mtsi, Matie civil engineering student who won the SAICE National IP Showdown held on 7 March this year. The competition, hosted by the South African Institution of Civil Engineering, selects the best undergraduate project amongst final-year civil engineering students from the top six universities in South Africa. The topic of his winning final-year project was Mobility as a Service (MaaS) Model for the Stellenbosch Student Population. 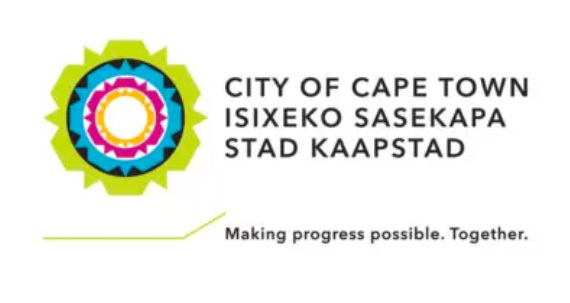 Investment in CCTV and IoT across Cape Town is hoped to increase safety and improve passenger experience through monitoring queue lengths and waiting times at taxi and bus ranks. A number of excellent capacity-building and knowledge-sharing event will be hosted during the year. Please diarise the events of interest and plan to participate. For ease of reference we include some external events as well. Click here to download the Annual Programme of Events. The Department of Transport and the Road Traffic Management Corporation (RTMC) published the National Road Traffic Law Enforcement Code (NRTLEC) in Government Gazette No. 42230 of 15 February 2019. Section 32 of the RTMC Act, 20 of 1999 requires that the RTMC develops the Code and publish it for comment. Gazette is available at www.gpwonline.co.za. ITS South Africa is preparing a submission to the RTMC. The objective of the multi-phase Gauteng Freeway Improvement Project (GFIP) was, and still is, to develop a sustainable and self-funded upgrade and expansion programme for the main Gauteng freeway network. The GFIP utilises the user pays principle to collect fees in order to service the repayment of funding raised to develop the project. However, due to low compliance, SANRAL is not currently continuing with the next phases of the project. The City of Cape Town is revving up efforts to track down drivers with outstanding traffic fines and warrants. The City’s Traffic Service has had more operational resources to deployed under its Operation Reclaim. DURBAN – In rising to the challenge of rapidly evolving Smart Road Technologies and global innovation, SANRAL has established the Technical Innovation Hub (TIH) which is driven from the Western Region Office in Cape Town. Although not a physical space, the TIH can be likened to a think tank of young intellectuals, mentored by senior professional engineers, and inspired by the possibilities that exist when technology is harnessed to improve lives and promote progressive development in transport. Flx is a platform that can organise the transport of commuters that work at the same company. The platform allows to supplement public transport with private or shared transit solutions. Flx provides this service as a „Software as a Service“ platform. Population growth and a deteriorating train service were among the reasons Capetonians gave for the lengthy periods of time they were stuck in traffic in 2018, the City of Cape Town said. Purchase told News24 a multi-pronged approach was required to address traffic congestion because new roads would not alleviate the problem on its own. © 2019 ITS South Africa. All Rights Reserved.